Memorial services are scheduled for 11 a.m. Saturday, Aug. 12, at Terpening & Son Chapel for Patricia M. Nelms of Lovington. Nelms, 78, passed away Wednesday, Aug. 9, 2017, at her home in Lovington. Stephen Lord will officiate the services. Cremation has taken place under the direction of Terpening & Son Mortuary. Patricia was born Nov. 23, 1938, in Carlsbad, the daughter of Stanley Leonard and Jonell (Rayburn) Jones. On Dec. 21, 1957, she married Charlie Nelms in Carlsbad, and the couple came to Artesia in 1975. They then moved to Hagerman in 1999 and Lovington in 2002. 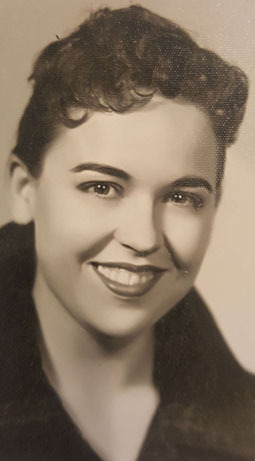 Patricia was a college English professor and also operated a photography studio. She was a member of First Methodist Church and enjoyed photography, painting, reading, and spending time with her grandchildren. Survivors include her husband, Charlie Nelms, of Lovington; daughters Claire Halsell and husband Dr. Cecil Halsell, Elizabeth Nelms, and Charlie Nelms, all of Lovington; sister Jonell Howell of Austin, Texas; and grandchildren Noah Nelms, Aiden Nelms, Calista Halsell, Joesie Graham and Charlie Mya Lanning. She was preceded in death by her parents; son Stanley Richard Nelms; brother Stanley Jones; and sister Lynette Fry.